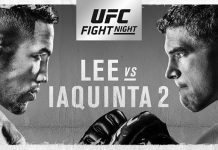 Today, UFC officials annoucned the unfortunate news that Vaughan Lee (13-9-1 MMA, 2-3 UFC) has been forced to withdraw from his scheduled UFC 167 bout opposite promotional newcomer, Sergio Pettis (9-0 MMA), due to an injury. 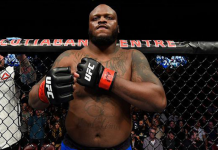 According to UFC officials, the promotion is actively seeking a replacement for Lee, however, a new opponent for Pettis has yet to be determined. 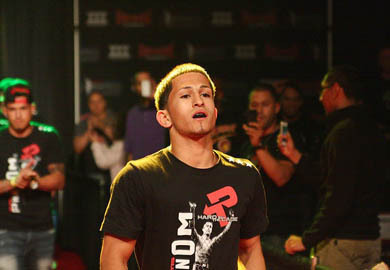 Sergio, the younger brother of UFC lightweight champion Anthony Pettis, is undefeated thus far in his MMA career. Sergio was last seen in action at September’s “NAFC: Battle in the Ballroom” main event opposite James Porter, whom he defeated via submission in the first-round. 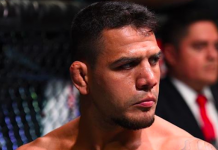 Meanwhile, Vaughan Lee was hoping to get back in to the win column against Pettis, as he suffered a submission loss in his last trip to the octagon against Raphael Assuncao at June’s UFC on FUEL TV event in Brazil. Prior to that loss, Lee had earned a unanimous decision victory over Motonobu Tezuka. UFC 167 goes down November 16 live from the MGM Grand Garden Arena in Las Vegas, Nevada. 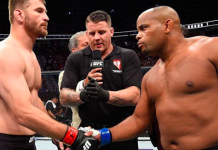 The event is headlined by a welterweight title fight between current champion Georges St. Pierre and #1 contender Jonhy Hendricks. 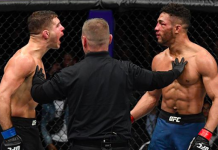 Who would you like to see the UFC put in as a replacement for Lee against Pettis? Let’s hear it Penn Nation!